Fishing is a popular sport for all seasons of the year and Ouray is the perfect place for your next big catch! With our countless waterfalls, creeks, rivers, and lakes both in and around our mountain town, Ouray is teeming with freshwater life. 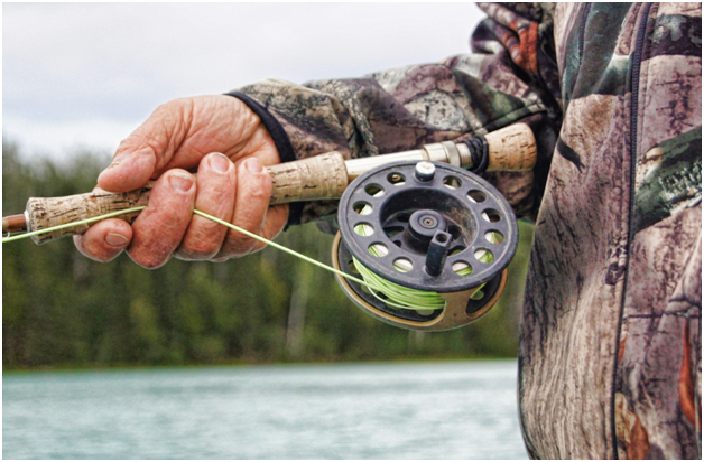 Our waters can accommodate fly fishing, line fishing, float fishing, and more. If you’re interested in some river fishing, here are some great locations to try out! Late spring and early summer are the perfect times for your next catch here in the Gunnison River. Traversing down the center of the Black Canyon, the Gunnison is one of the most popular locations for trout fishing in our area. Try your hand at fishing this river and you’ll have a high chance at success. It’s located 1-2 hours from Ouray. Not far from Ouray and Ridgway, this river is full of wild and stocked trout. The river’s fishery has been rehabilitated with boulders, logs, and plant life and makes the perfect hideout for the fish! If you fish within the Ridgway State Park boundaries, the trout get much larger. While fishing is only available during the summer, this river is teeming with life! Brown and rainbow trout are common and perfect for fly-fishing. Although this river is often overlooked, it provides wonderful fishing! It’s located roughly 1 hour from Ouray, but holds beautiful prizes! With year round fishing, this free running river is a great fishing location when the snow and runoff are optimal. Every day on this river is different, so check reports and local shops to see when this river is at its peak! While only available during the summer and requiring some serious bushwacking, Cow Creek is home to many different sizes of trout! This creek is one of Ouray’s best fly fishing locations. The creek weaves through both public and private properties, so make sure you aren’t fishing on private land before you go! Three of the best lake locations are summer only, but they make for good catches. Blue Lakes requires a 7+ mile round trip hike to reach, but the views and the fish are worth the trek! There are three main lakes which all have trout of a decent size. Crystal Lake is fed by a crystal clear spring. It’s perfect for fly fishing through wading or on dry land. The Ouray area has two nearby reservoirs with various fishing techniques allowed. Silver Jack Reservoir varies with its water levels, but provides decent fishing regardless. Floating, canoeing, or kayaking are the best ways to get out on the water for fishing, and there are endless points along the shore to cast your line. Ridgway Reservoir is just a few miles outside of Ouray. Whether you enjoy boating or fishing from dry land, this reservoir is ready for you! Whether you’re looking for one specific location or are willing to try them all, Ouray Chalet Inn can help! Our staff is ready to aid you in finding the perfect place to fish here in Ouray. And we have a comfortable place to come back to after a long day spent outdoors. Book your room today!